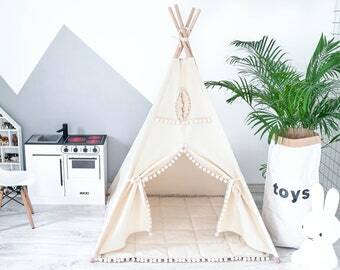 Announcement NOW YOU CAN PERSONALIZE YOUR TEEPEE!! 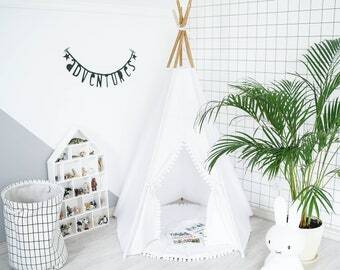 Beautiful teepee tent is great part of your kids room. 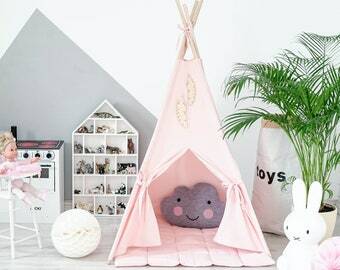 Choose your favorite design and hurry to order! 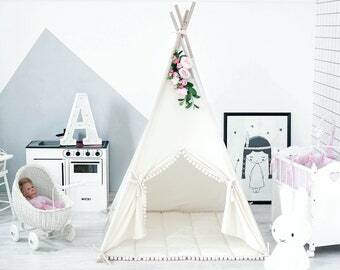 For teepees, beddings, towels and toy baskets we choose only NATURAL and CHILD-FRIENDLY materials. FOR USA IS AVAILABLE FAST UPS SHIPPING (2-4 business days)! 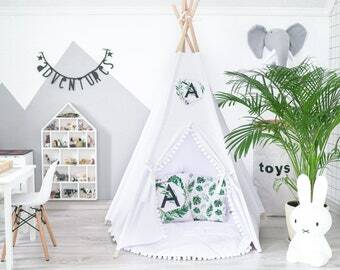 NOW YOU CAN PERSONALIZE YOUR TEEPEE!! Super schönes, sehr liebevoll verarbeitetes Tipi Zelt! 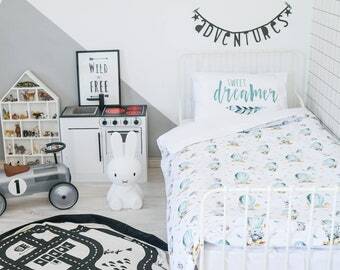 Und die Größe perfekt für kleinere Kinderzimmer. Sehr zufrieden mit dem Kauf - auch wenn die Übersendung etwas länger gedauert hat weil es in Hamburg beim Zoll landete. Top Preis-Leistungsverhältnis! 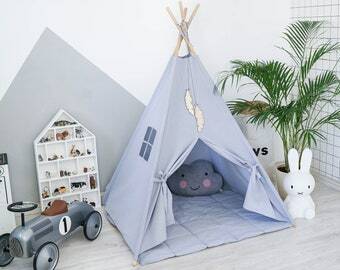 Great quality product. 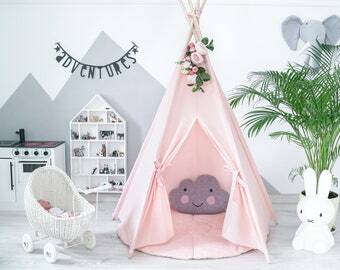 I will be using it for my daughters photo session and eventually for her to play with. Thank you! Amazing news! 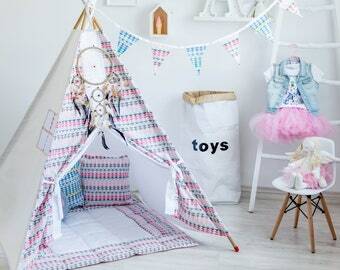 Now you can personalize your teepee!! 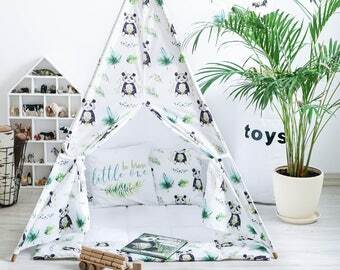 My new teepee with tropical leaves and personalization option! I don’t use ready-made fabric. 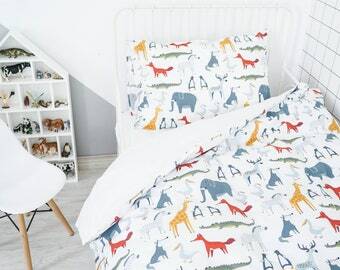 I print my fabric in Ukraine. My kids - my best inspiration. 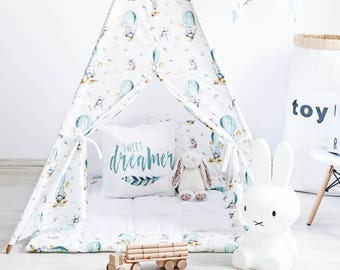 Our products perfectly complement any children's room. 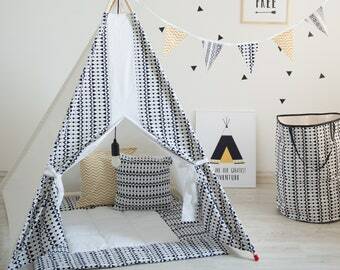 You can choose the ethnic print that suits you the best. Hello, my name is Valery and this is my project. I'm very glad to see you on my page! 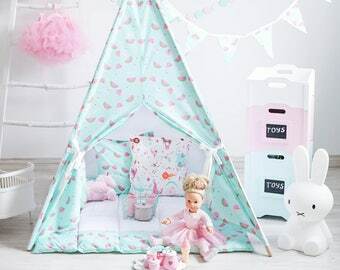 ITSFORKIDS was created for children, with love for them in every product. 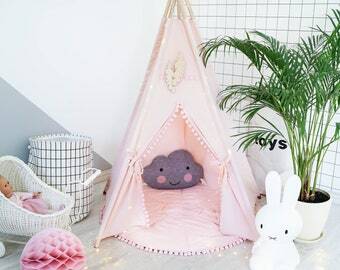 The first teepee I sewed for my daughter, when I wanted to give her a magic corner, place of rest and her little secrets. 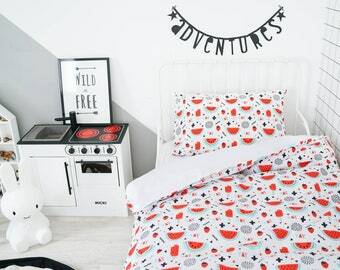 I created first bedlinen for her, when I could not find anything suitable for her room. 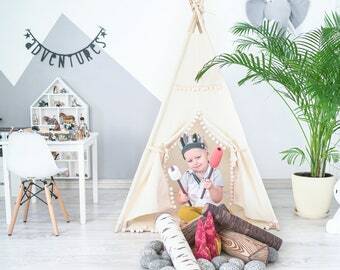 My products were created primarily for my own children, in order to make their childhood brighter and more beautiful. 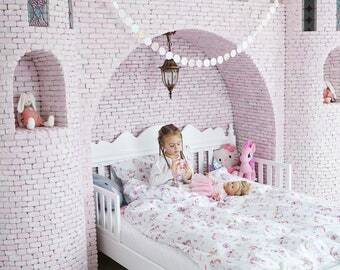 Each of us in childhood built houses from chairs, blankets and pillows, covered table with a blanket and imagined that it was our secret place, where was so nice to hide from everyone and dream. In forest we built real huts from branches and played robbers. And these memories, joy from playing games stay with us even when we grow up. Remembering all my emotions, I want my children to experience it too. 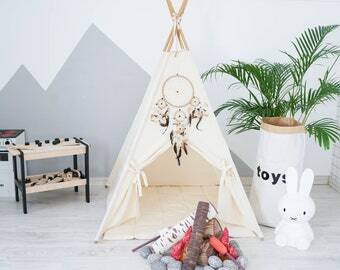 Now you don't need to build towers from chairs, just select a teepee, which will nicely complement your interior. 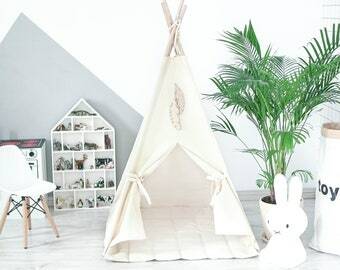 Teepee will become a nice decoration for children's room, you can always take it out on the garden for a game or take it with you to the beach. 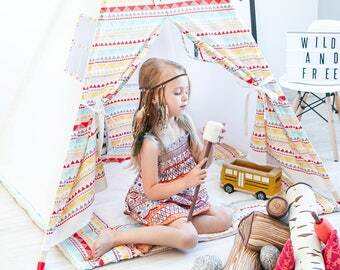 In teepee your child can play with friends, read books with mom or just sleep. Every product goes through many stages before you see it in finished form. It all starts with an idea and design. I don't buy ready-made fabrics, I create them myself. It brings a part of my soul into my work. From the print on computer to print on fabric. It is really difficult and long process, but also magical and enchanting. When image appears on a fabric that just have been white and clean. And it is no longer white and clean fabric. 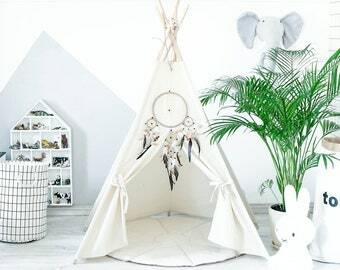 It is the part of interior, or someone's ideas, mood. 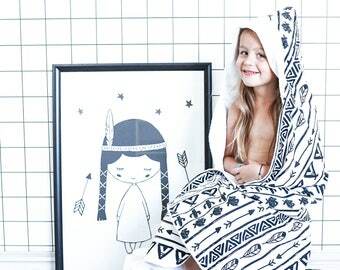 For print we use only hypoallergenic non-toxic paints certified in Europe. 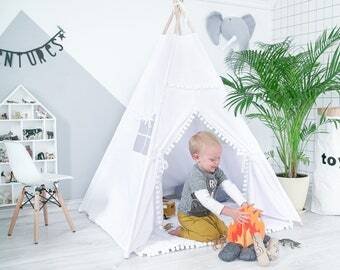 Finished fabric does not fade and withstands many washings at low temperatures. My kids are always happy to be my models and help me to create the perfect pictures. 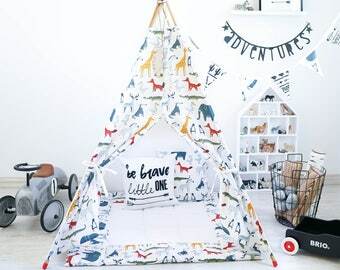 I believe that every child deserves to be surrounded by the most beautiful and interesting things that would make his childhood bright and memorable. 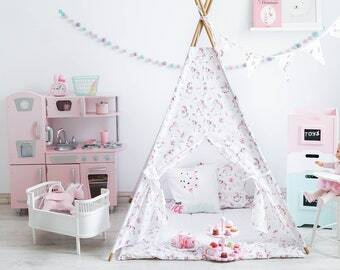 I hope you like my products and they'll become a beautiful part of your children's rooms. I'm a mother of two adorable kids. They are my biggest inspiration. I have been sewing goods for children since 2014. And I really enjoy it! 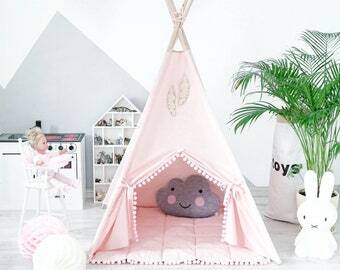 I want to make the childhood even happier and more beautiful for every kid! 1. 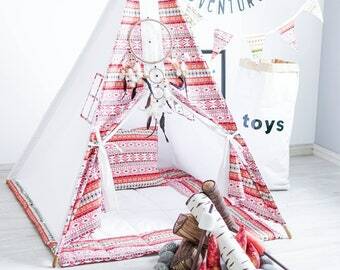 When you receive the teepee it might have a lot of folds during wrapping, packaging and shipping (because the teepee is made of 100% cotton). 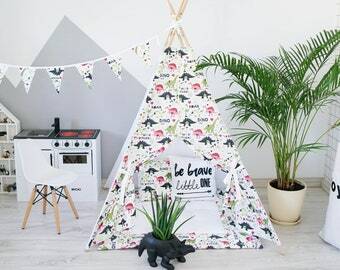 To smooth these folds away, please unfold the teepee wide, either steam-iron it or mist-spray it, and let it stand for some time. 2. 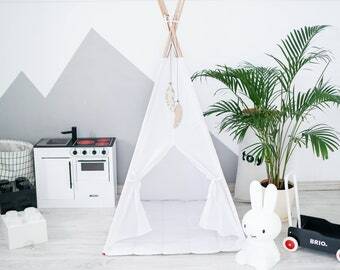 When your teepee/bedlinen/towel/basket is dirty - you can machine wash it a warm water (30-40 degrees) with mild detergent and air dry it. 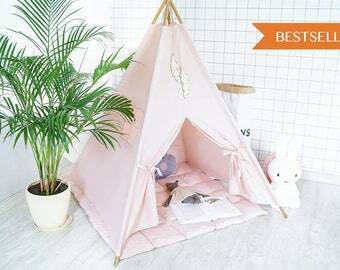 Because it is made of 100% cotton, it will have a little shrinkage.